Focus Photography July 10, 2018 Here's 20 things you should know about us. Who we are, where we work, and why we love weddings! This is Allison and John (from the quote on the right). This is the back yard (the Grand Allee) of the Crane Estate, and you can walk all the way to the beach. We’re married to our best friends too! We even work with them – we’re married to each other. Our success working with couples comes directly from our success as a couple. Yes, we have different last names (William von Wenzel and Lucia Razionale), but don’t let that throw you. We were married in a church in the North End of Boston (St. Leonard’s – it’s pretty), and neither of us wanted to see a nice Italian name like Lucia paired with a Bohemian surname. We wanted photographers we could be ourselves around, and not feel self-conscious. We wanted to feel good about who we are, and not judged. When we met with Will and Lucia, you could tell they were more interested in us, and what would make our wedding perfect, than in boasting about themselves. They understood us in a way other photographers we met with could not. We’re right downtown on Commercial Street next to the Courtyard by Marriott hotel – you should come by! It’s both a cool place for us to show you our wedding work, a workshop where the elves slave away on your wedding albums and prints, and a studio where we can try out new photography ideas daily. Free parking for Focus Photography is available for our clients on the left side of our building. Standard wedding photography coverage map. Focus Photography works weddings from Newport, RI to Bar Harbor, ME without travel fees. Interior of our Wedding and Portrait Studio. Click here to see inside our studio! With 95% of New England’s wedding photographers describing themselves as photojournalists, this point is huge! We’re not photojournalists, we don’t pretend to be, and you can read more about that in our article “Why does every photographer call themselves a photojournalist?”. Our background is in fashion photography, and we’ll shoot your wedding the same way we’ll shoot an editorial for a magazine. If a room is cluttered, we’re going to get it straightened. If someone can look better in an image with just a little direction, we’re going to give it. The same thing is true for lighting (we’ll add a kicker light to the scene); expressions (some bridesmaids have RBF – we’ll make them laugh); and even grooms (most guys aren’t thrilled about photography, and we tense up. We’ll help them look more relaxed, like they are when you’re alone together). At Focus Photography, we believe it’s our job to create great looking images for you – and not just to capture what’s happening at the moment. If you think your photographer should be working with you to get great images, and not just photographing what they see, click the link below to start a dialogue about your wedding. We’re going to treat them like VIPs, but a little like VIPs at a celebrity roast, where Tinderella and the Lady Killer (don’t even pretend they’re not in your wedding party) will be the ones being roasted. Here’s how. You’re going to tell us all about the people in your wedding over the next few months as we put your timeline together, and we’re going to use the stories you tell us to keep your friends laughing. Our families and our wedding party can’t stop talking about how much fun they had being photographed at our wedding! Brady and I knew we would love working with you, but he was amazed at how quickly Will became one of the guys, and never imagined his buddies would do any of the things they did, never mind enjoy it! Photography was my most important priority for the wedding (after Brady I guess). I love reliving every picture, how much fun we all had, and how good we all look! The pool table was in the bridal suite at the Westin. We’ve had a team of ‘associate’ photographers work for us before, but it doesn’t feel right to show you our work, and then have someone else shoot your wedding. We’ve had great photographers work with us for years, but they never saw things the way we did, because they weren’t us, and photography, by its nature, is very personal. When you work with Focus Photography, you work with Lucia and Will. Have a big enough event, we’ll bring an associate or two along, but we’ll never pawn you off on someone who is trying to learn to be us. Thank you William von Wenzel and Lucia Razionale of Focus Photography for all of our amazing photos! ???? Rachel’s wedding is featured in the attached slider. This won’t be our first rodeo! We’ve worked hundreds of weddings together (and even more separately). And just like TB12, every time we suit up we’re a little bit quicker anticipating what a party is going to do, a little sharper in our own focus, a little bit better deciding how to cover a shot, and we store up a little more experience for when things get tricky. With every wedding we shoot we improve on what we do, and your wedding will be the best we’ve ever shot, have the most complete plan for the images, and give you the most variety of images we’ve ever presented. All of the receptions we’ve photographed over the last dozen years have prepared us for your wedding, and we can’t wait to show you what we’ve learned. If your wedding reception gets crazy like this, we'll be ready to take that shot. When the party starts, we don’t head for home – we go straight to the dance floor! Did you ever wonder why most photographer’s portfolios only feature images during the day outside? It’s because it’s so hard to get great party pictures! The lighting is low, the floor is packed, and camera flash can ruin the atmosphere. A lot of photographers say ‘No one is ever going to hire us for our party pictures’, and they call it a day. We think that’s crazy! With all the time and expense that goes into planning a reception, you deserve party pictures that are awesome. Will there be a band, wandering into the crowd? Will you have the hottest DJ who keeps your friends in perpetual motion? Will your grandfather jump into the circle? Whatever happens, we want to make it epic. We’ll be right there alongside you, ready for that moment! Will, you captured the picture I’ve always wanted! In all the years our band has performed, we never got a picture that captures what it feels like to see the crowd enjoying our performance like this. If it weren’t for your pictures, I wouldn’t even remember half of the incredible moments from our party! Yes, I might have had a glass of champagne (or 2), but everything was just happening so fast as well. I love that you captured the guys singing to me, my bridesmaids killing their Beyonce routine, and the absolute joy of our wedding reception! Spontaneity is important, but planning is crucial. We’re going to create a photo timeline for your day so that all of the things that matter to you, have a time to happen. You won’t have to worry about ‘will we take pictures of _____?’, or ‘will there be time for _____?’, because we’ll sort it all out together ahead of time. You’ll just enjoy your day, we’ll all follow the timeline, and we won’t miss anything important to you! Will and Lucia were fantastic, they made sure everyone was where they were supposed to be and when. The plan they made with us told us where everyone should be, and what we had to do, making it so we could be relaxed and enjoy ourselves. We didn’t have to worry that we’d be late for anything, run out of time, or not get images we wanted. We were able to fully be at our wedding and know that all of the important moments were being captured. Will and Lucia were fantastic, they made sure everyone was where they were supposed to be and when. The plan they made with us told us where everyone should be, and what we had to do, making it so we could be relaxed and enjoy ourselves. We didn’t have to worry that we’d be late for anything, run out of time, or not get images we wanted. We were able to fully be at our wedding and know that all of the important moments were being captured. "...An above-and-beyond thank you for your attention to taking so many wonderful pictures of my grandparents. " "We will treasure them always….You are amazing and we had a terrific time with you both." The pictures of our parents and grandparents at our own wedding, both the formals and the candids, have become even more important as we’ve lost people to time. Family is the reason you’re not getting married in Fiji, and we’re not going to overlook yours at your wedding. Hi Lucia and Will – the images are absolutely beautiful. On a bittersweet note, my Papa Joe passed away a few days ago, and the entire family is just so thrilled that we have such lovely, happy images (and memories) of him and my Nana at the wedding. So, I just wanted to drop a note and say an above-and-beyond thank you for your attention to taking so many wonderful pictures of my grandparents. We will treasure them always….You are amazing and we had a terrific time with you both. Some kids behave in the sandbox, and others think its their own fiefdom. The same thing is true at weddings. And there probably were years where we thought our pictures were more important than video, or photobooths, or cocktails. But we’ve matured, and we know that everyone has to work together smoothly for your day to run the way you want. We won’t let you be late for the introductions, we won’t get snooty when your aunt takes a picture with her iPad, and we won’t sneak you off without telling your DJ. And that’s one of the reasons why more than fifty wedding venues in Maine, New Hampshire, and Massuchusetts recomend Focus Photography. 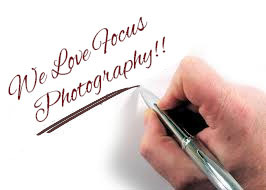 We love having Focus Photography work at the Wentworth by the Sea. They keep things fun, they run on time, the images are great, and my couples are always happy. That’s why I’m using them for my own wedding! "We love having Focus Photography work at the Wentworth by the Sea." "They keep things fun, they run on time, the images are great, and my couples are always happy." Let’s face it – a lot of photographers have zero social skills. They’re favorite images are taken miles away from the couple, they’re hard to interact with, and their awkwardness casts a shadow on the wedding day. We know you’ve seen them at weddings. Here’s another benefit to having a full service studio – you’ll be able to talk to your album designer personally, and make as many revisions as you’d like! Most wedding photographers have their albums designed by a service, and couples have little to no input on the finished product. That won’t fly at Focus Photography. We know that we’re creating your first family heirloom, and we want it to be perfect for you. You’ll be involved in your album design from beginning to end, and we wont’ go to print until you’re 100% thrilled! We know that your choices are what makes your wedding unique! There’s 6, 502 important decisions you’ll have to make after choosing Focus Photography to be your wedding photographers, and its our job to create a little piece of art out of each of them. Whether it’s the design of the napkin ring, the color of the men’s socks, the hand painted welcome sign, or the individual table numbers at your reception – your touches and your decisions will be important, and then gone. We promise, we won’t let them be forgotten. We’ll show you all the ways we could photograph you, ahead of time! It’s one thing to look at a wedding picture and think it looks nice, and another entirely to be the people in that picture! Wedding photography is a little unfair, because we all have things about us we don’t love in pictures; ways we stand or face that we think don’t flatter us. If you could see yourself in all the pictures beforehand, you’d know what you liked and what you didn’t. That’s what we do. We include a pre-wedding romantic shoot for all our couples for this very reason. Think of it as an engagement shoot on steroids. We’ll create images where you’re a little piece of a work of art; tight images that capture the closeness of a couple; choreographed images, where we give you just a little direction; camera unaware images, where you’re lost in each others’ eyes; and traditional images, where you’re looking towards the lens. And on your wedding day, we only shoot images we all know you’ll love. There will be no awkward moments; no images that make you look ____, and you’ll both be pros at the wedding photography thing. "If you want to remember how great your wedding was, and not how much you wish you had picked a better photographer, Focus Photography is the the best, and they exceeded my expectations." We’ve shot together for over a decade! On any team, consistency promotes excellence. Will and Lucia have worked together long enough to always know what the other photographer needs them to do to make an image perfect. There’s no confusion about who will shoot what, and nothing gets missed because of confusion. Contrast that with other photographers who work alone, or pick a different assistant, second, or associate photographer for each wedding. Will and Lucia were great. I am a graphic designer, so I have an eye for detail. If one thing is off I’ll notice it, but I love all our pictures. The angles they used, the quality of the pictures, the landscapes, the balance, clarity, everything was just right. If you want to remember how great your wedding was, and not how much you wish you had picked a better photographer, Focus Photography is the the best, and they exceeded my expectations. Have you chosen a reception venue? If you're planning a wedding - where, when, how many guest, etc. If you're thinking of an engagement shoot - when and where? FOCUS PHOTOGRAPHY New England’s most trusted wedding photographers.